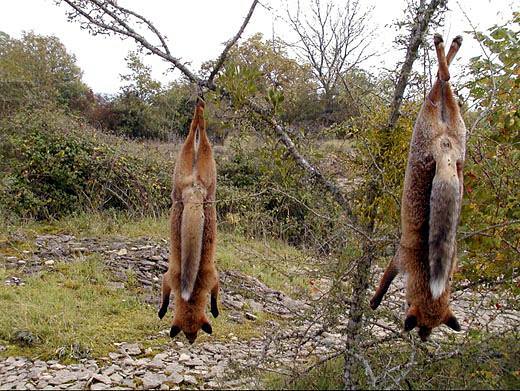 many hunting methods are allowed in France that are banned elsewhere for being cruel e.g. gassing and excavation during which the animals are hunted down in their den. After a long period of tremendous stress and terror by hunters or dogs they are eventually shot or have their neck wrung, are beaten to death with a shovel or even given to the dogs alive. This excavation of wildlife is prohibited in other countries such as the UK, Netherlands and Belgium. – And they have the dubious honour that they can be hunted with dogs until the 31st of March. A simple calculation shows that in theory they only have two months in the year in which they are left in peace to raise their young. However in addition to the status of “huntable game” the fox can also be classed as “vermin” and, in fact, is so considered in all of France except for Paris and Corsica. Because of this status they can be shot, trapped, gassed or excavated all year round. In the North of France, or to be more precise in the “Nord-Pas-de-Calais” they make it a special event, a hunting festival with the “hard” cowboy name “Ch’tis fox days” where every possible means of hunting is allowed. organized by ASPAS, a foundation for the preservation of wild animals, and for years a defender of the fox. 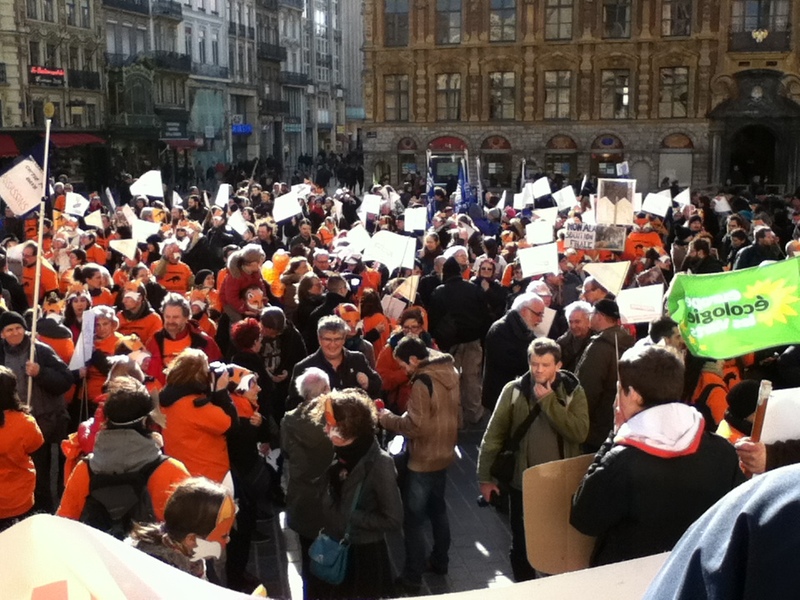 Over 1500 people assembled in Lille the weekend of the proposed massacre to demonstrate and show their dissatisfaction. 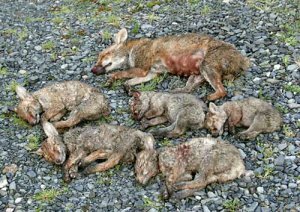 As a result the damage was limited to the death of “only” 30 foxes. But the battle is not yet over. As long as the fox is classed as vermin, it will still be possible for hunters to kill them all year round by whatever means they like. Something has to be done. ASPAS is doing something with a number of actions: see here for more details. Well, you could choose to avoid the Nord-Pas-de-Calais and go to a more animal friendly department.